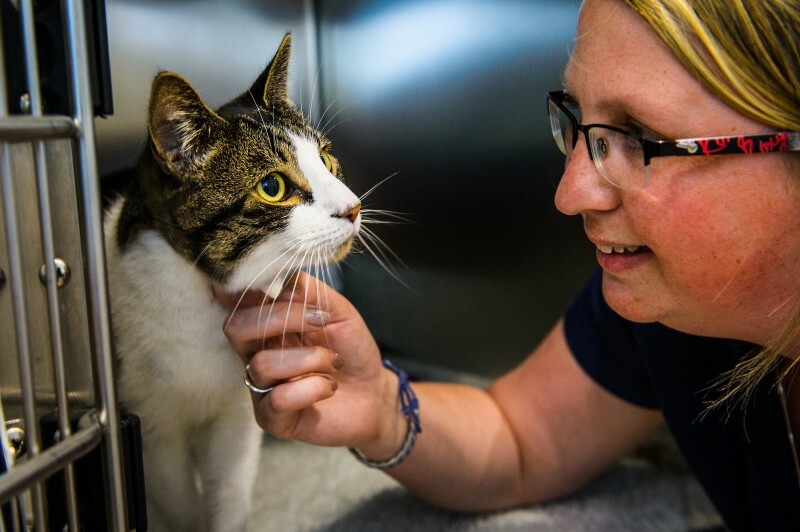 To commence training as a Veterinary Nurse you must attain GCSEs (or an equivalent award) in English, Maths and Science, achieving grades C or above. Veterinary Nurse training can subsequently be undertaken as either an apprenticeship or through higher education. The RCVS website details the two training routes available and provides a list of accredited education centres. 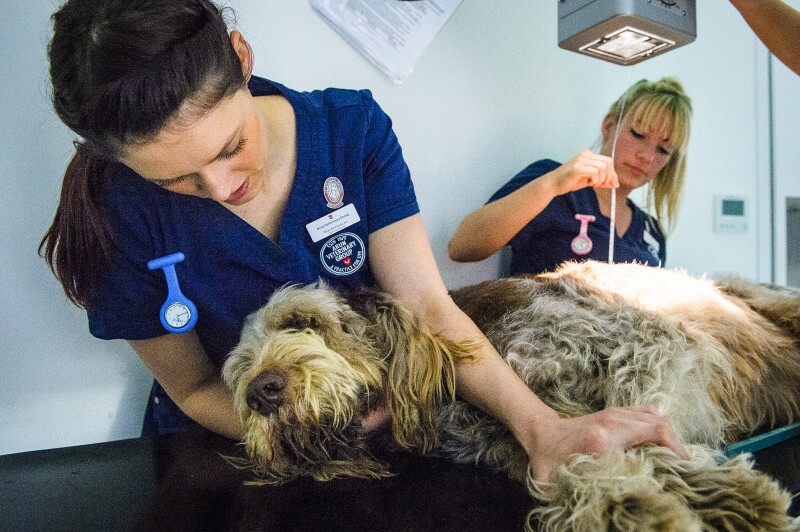 The apprenticeship is a more ‘hands-on’ approach, where students work full time within a veterinary practice and are released for one day a week to attend college. Training lasts about three and a half years and results in a hard earned Veterinary Nursing Diploma. Learning via higher education involves enrolling with a chosen University and students will undertake block weeks at University, combined with block weeks working within a designated practice. The course takes about three and a half years and earns the student a Degree in Veterinary Nursing. Students have to complete a variety of case studies as well as complete a skills log – proving their competence in a variety of tasks ranging from running a blood sample to monitoring an anaesthetic. Students have to pass all paper examinations and a set of nerve-wracking practical exams. Local training centres in the South East include; Plumpton College, Brinsbury Campus, MYF, Sparsholt and the Royal Veterinary College. Both courses require students to be extremely committed and driven but there efforts are rewarded when they achieve the title ‘Veterinary Nurse’, joining a very prestigious club. Arun Vet Group is proud to be a registered nurse training practice and we feel honoured to be able to support such a valuable organisation as the British Veterinary Nursing Association, producing some amazing nurses who have gone on to become established members of our team.